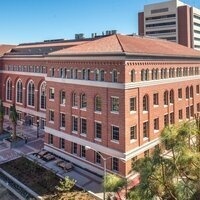 The USC Michelson Center for Convergent Bioscience will tackle the most critical health issues of our time by transforming how research is conducted. With this new building, we're taking down walls that have separated experts in different disciplines fighting the same disease. Come learn how Dr. Peter Kuhn is redesigning cancer care to impact patient care with his physics oncology team. Registration includes hosted cocktail reception, appetizers, lecture and tour. Parking is available at the Downey Way structure for $12 per car. Each purchased registration includes a $5 donation, which supports USC Alumni Association programs and services. Questions? Please contact Sarah Sturm at sarahstu@usc.edu or (213) 740-5196.